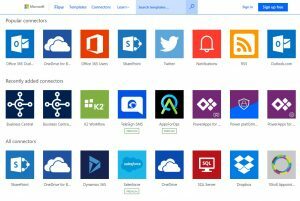 Maybe you’ve heard about Microsoft Flow recently? 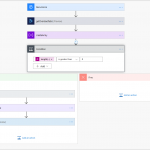 It’s a workflow engine powered by Azure Logic Apps to connect your favorite applications and services together. 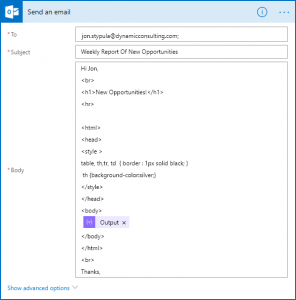 Sounds fun, certainly, but really what’s it for and how can it be used with Dynamics 365? Yes, you can use Flow to connect your smart home to other devices (similar to IFTTT) but to assume that’s where it stops would be short sighted. Imagine connecting your business applications together to keep your enterprise processes integrated or even automated. Imagine connected devices in your office or on the front line bridging the gap between the digital and the physical. Imagine light-sabers and teleportation too while you’re at it! However some of this isn’t science fiction anymore. 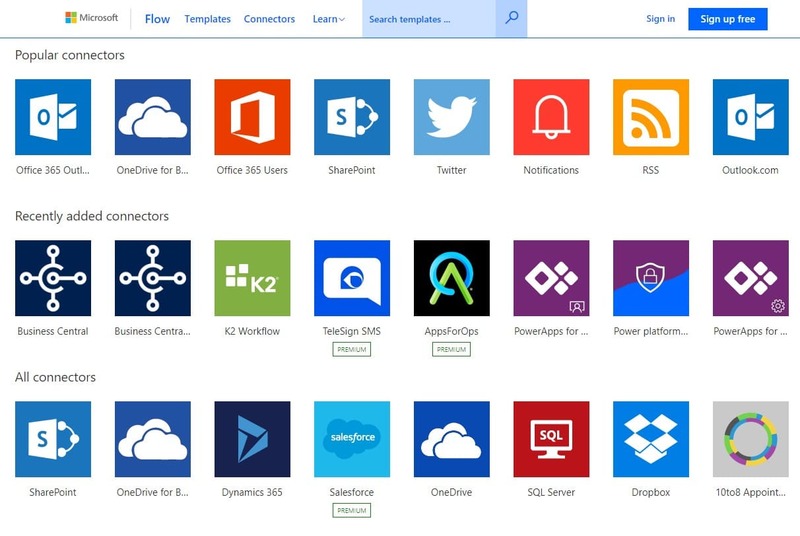 Flow and the supporting Azure stack provides a powerful one/two punch. 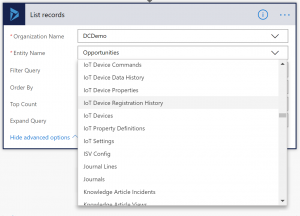 Sprinkle on SharePoint, Dynamics 365 and Office, and there’s no reason to limit the ways to keep your various systems in sync in this new connected world. 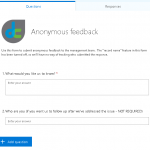 Influencers like Jon Levesque and Melissa Hubbard are providing Flow inspiration almost every day, so I recommend everyone in the Dynamics space at least give it a try. As motivation, I built a ridiculous Flow that I thought Dynamics customers would find interesting enough attempt themselves. 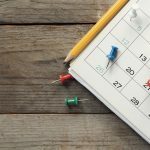 Customers often reference the complexity of ERP and CRM implementations by jokingly wish they had an “easy button” ala the famous Staples commercials. 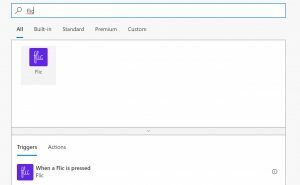 So, why not an easy button for D365? Powered by a Flic smart button, I decided to Flow a custom report to my email all with the press of a button. If you’d like to try this yourself, here’s a brief tutorial to follow. FYI – My Flic is connected to the web through the Flic app on my phone, and not through the new Flic Hub. I couldn’t justify the price for the purpose of this experiment, but certainly if you’re thinking of a more robust solution the hub might be the way to go. There are some great templates but to prove how easy it is I’m starting from scratch. For this demo especially I’ll walk through each step since you might want to tailor it to fit your needs. 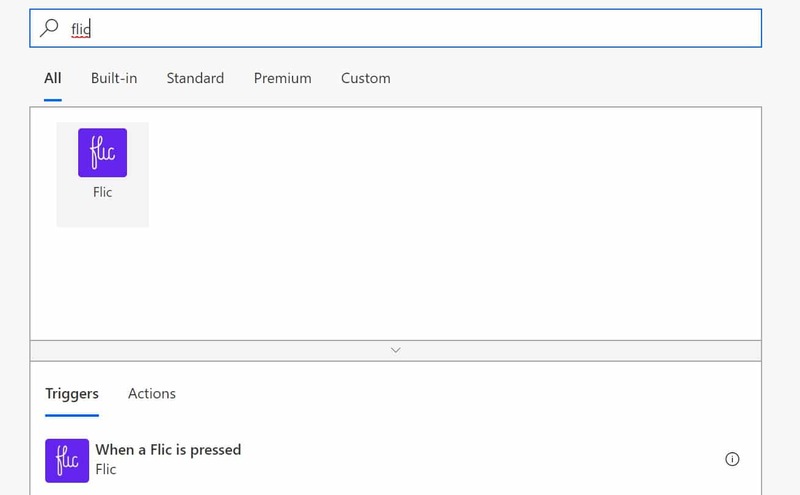 Simply select “Create from blank” and search for Flic as your trigger for this new Flow. There’s a lot of info in Dynamics that you can pull from, but I want to provide an easy filter for that data. To do that I’m adding this step to help control how much we’ll retrieve for this report. 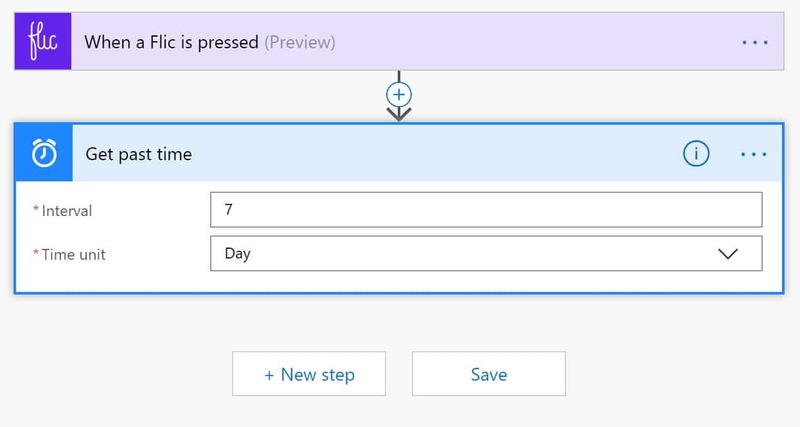 Select the “Get past time” step and decide the time interval for your report. 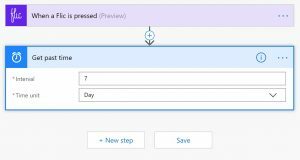 Choose “List records” step for Dynamics 365 and pick the environment and entity you want to report on. For this demo, I’m running an opportunity report. 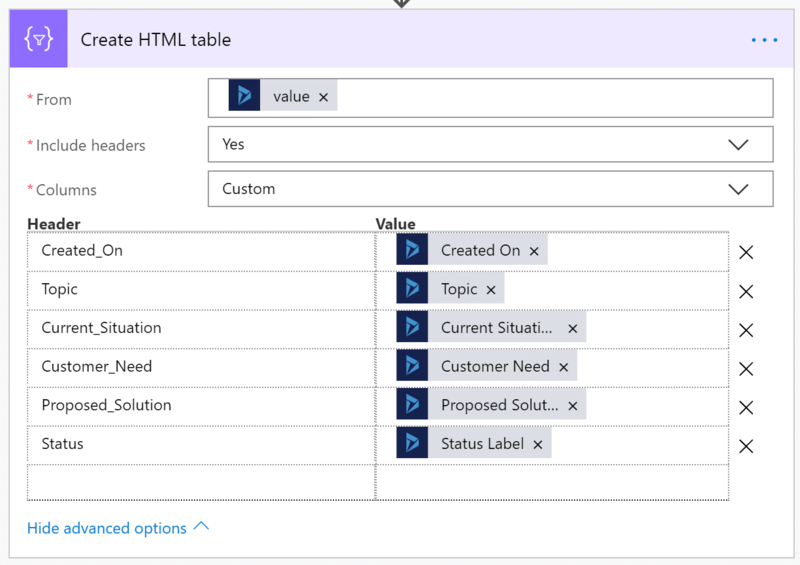 But really all the Dynamics 365 CE entities are here to choose from. 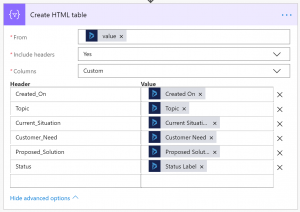 Click the advanced options to filter the data down to an actionable level. For my filter, I’m bringing in the past 7 days of new opportunities from the previous “Get past time” step. 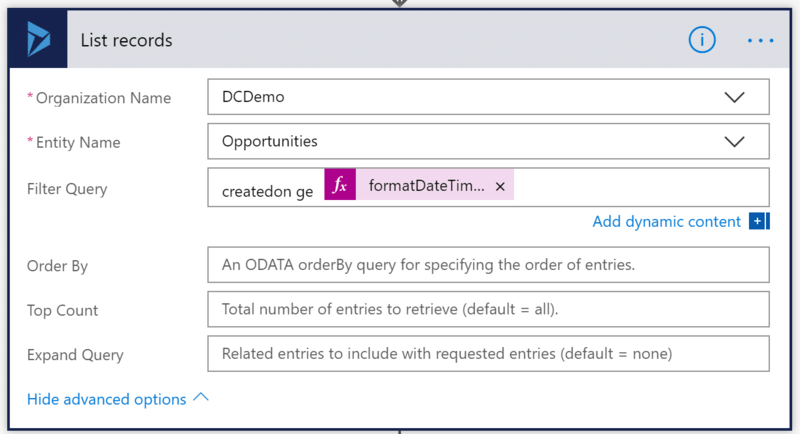 That custom expression in the Filter Query is formatDateTime(body(‘Get_past_time’),’yyyy-MM-dd’) just incase you’re following along! Because the view doesn’t send well in email format, I’ve converted the list into an HTML table with this function. Options extend beyond the 6 field I show obviously. 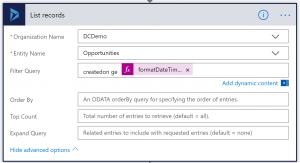 Chosen whichever Dynamics 365 data fields are critical for you, you’re all set! Save the Flow and give it a great name, then take it for a spin. I’m noticing about 10-15 seconds worth of processing time – most of which is due the time it takes Outlook to refresh. 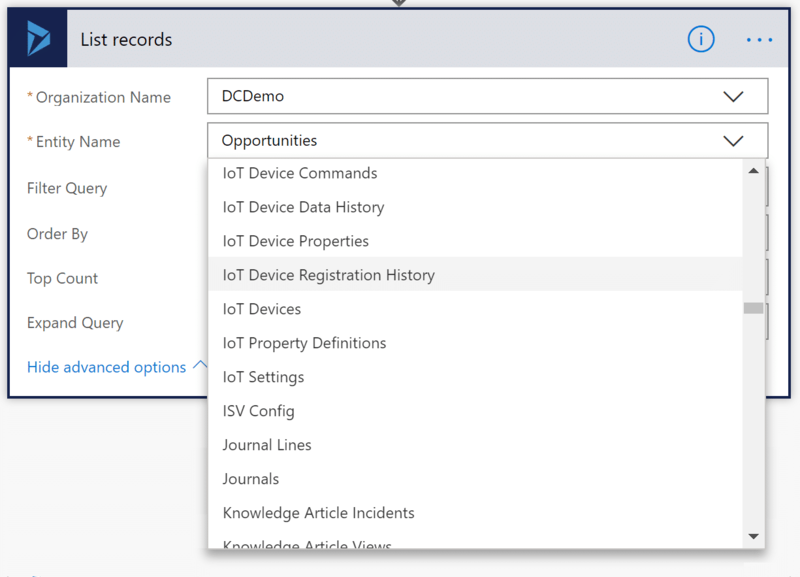 Though this is a simple example, I think it shows the power of connecting physical devices with cloud services to drive new behavior. This is only the tip of the iceberg though. Even if it’s not the most complex (or even the most applicable) business scenario I think it helps show how developed these tools have become. Short of being a light-sabers, it still allows for low-code solutions which empower everyday users like you and me!